As a regular supporter of the Woking & Sam Beare Hospices ‘Make a Will Fortnight,’ I am really proud to report that 2018 has proved to be our most successful year yet, with total donations exceeding £2,000! The small, yet perfectly formed, Trusts & Estates team in Woking worked busily during the months of February and March. Appointments were booked back to back in advance; paperwork was sent out; some very interesting people came through our doors; wills were drafted and further meetings were held to assist our lovely new clients with the signing of their new wills. All in all it has been an extremely successful campaign for a cause which is very much at the heart of the local community. We have been overwhelmed by the generosity of our new clients and by their support for the Hospice in general. 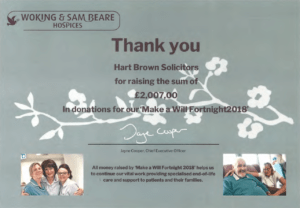 Such generous donations and the huge network of kind-hearted volunteers allows the vital work carried out by the Hospice to long continue. We look forward to another busy fortnight next year! Sonia specialises in trust and investment work with particular emphasis on wills, powers of attorney, estate administration, IHT, and trusts. She is a member of STEP. 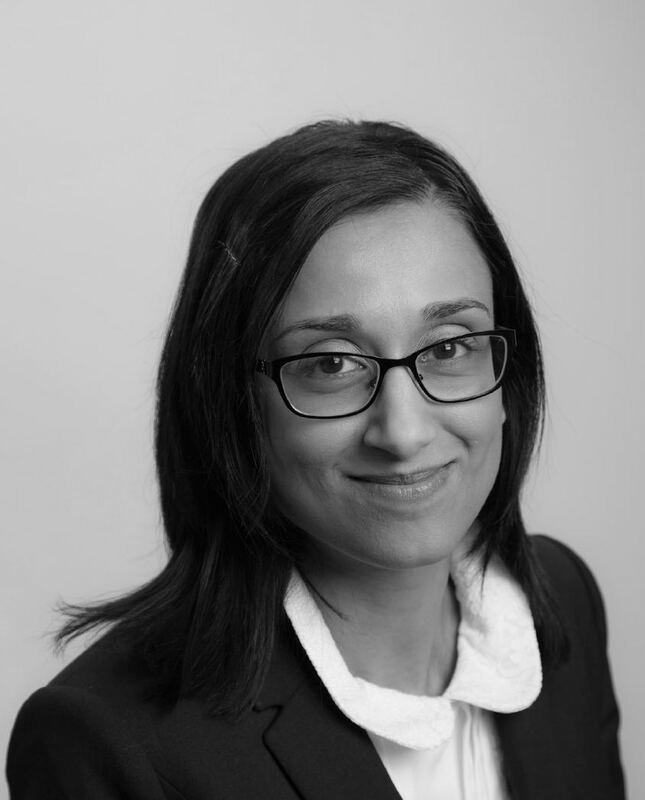 Sonia joined Hart Brown in 2008 after having worked initially for LexisNexis (a provider of legal textbooks/online legal authorities) before training and qualifying as a solicitor. She recently relocated to Hart Brown’s Woking office to head up that office’s trust and investment department. Sonia receives excellent feedback from her clients: "Very happy with service, convenient and efficient. Many Thanks!" Italy but my most memorable holidays have to be Sweden where I stayed at the Ice hotel and slept on a block of ice at a room temperature of -5 degrees and to Elvis Presley’s Graceland in Memphis. I visit the gym regularly, enjoy swimming, bowling, cinema, theatre and Latin dancing.